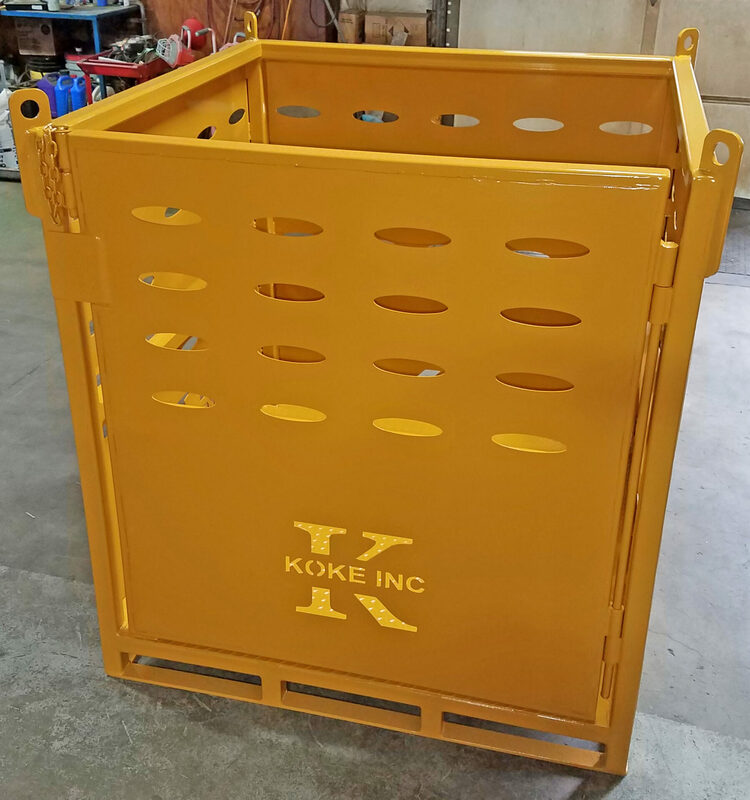 The Koke Material Lifting Basket can be manufactured for your specific needs. 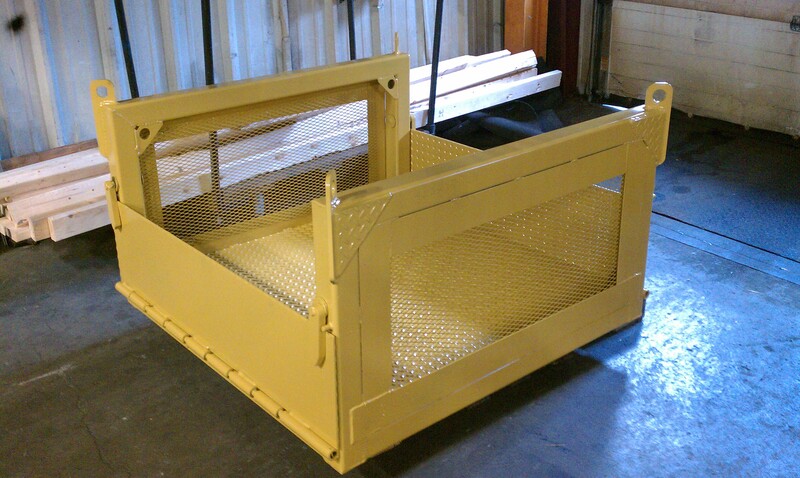 It’s rugged tubular frame with plasma cut side panels provide a durable basket with visibility that can support up to 6,000lbs. When you need to lift and transport materials and equipment on a job site, we can design a basket to suit your needs and budget. Options like doors, ramps, fork pockets and tie down systems can easily be incorporated into your material basket design. Each basket features standard 4 way entry and (4) tie down points on the mid rails. 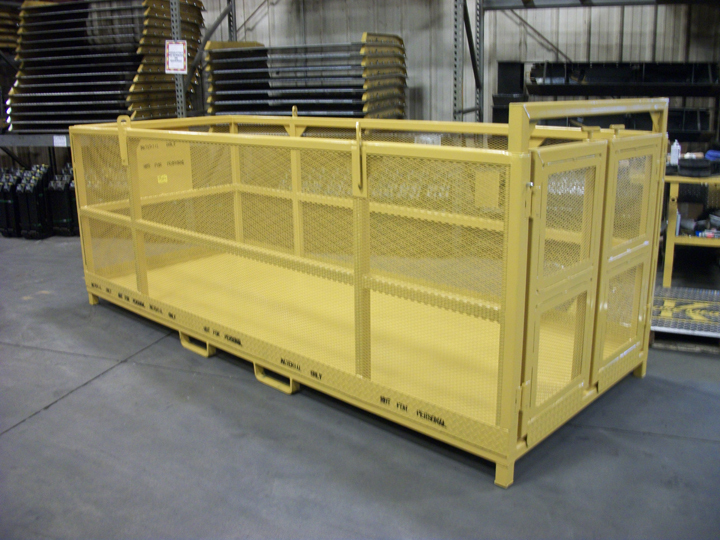 Designed for freight only, these material baskets are designed to move your items safely and securely. 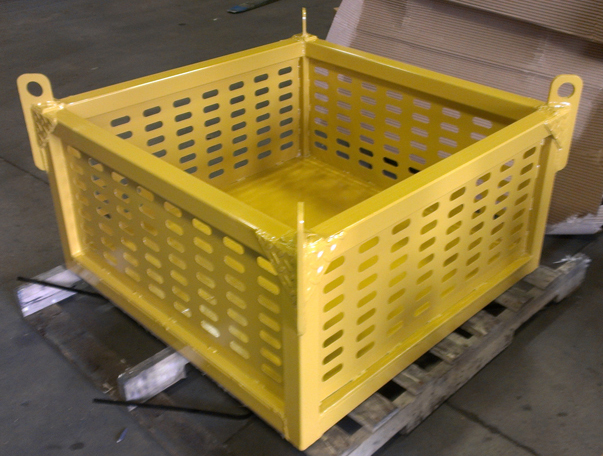 The basket is painted in a high visibility yellow and contains (4) lifting lugs, one in each corner. 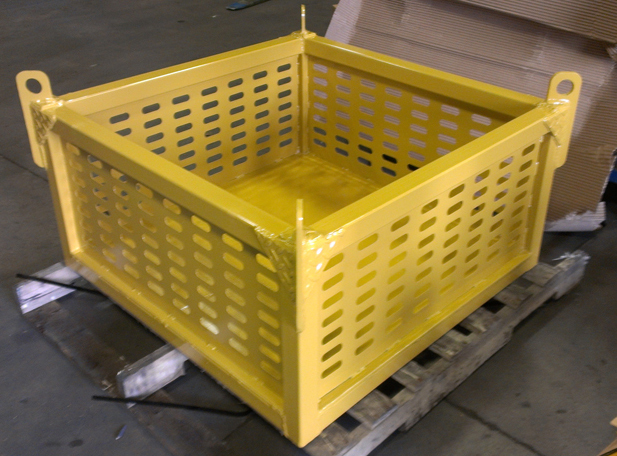 So whether you are lifting a welder or a pallet full of sheet rock, we can design a crane material basket for your project. Need a higher capacity, different size for design, then call us. The material basket is designed, manufactured and tested to meet all Federal and OSHA regulations related to overhead lifting. Please view the following link of OSHA 29CFR for rules, regulations and testing requirements on crane baskets.